Many engaged couples create a wedding website to showcase their personal images and memories. But wedding website can also help to slash your stationary portion of your budget . The website can serve as you main mode of communication. You can communicate all details about the wedding on the website. Guests can email you or message you to rsvp and let you know their meal preferences. This allows you to save on printing and postage. You can cut out the cost for rsvp cards, directions cards, response cards, meal cards, and etc. Wedding programs are beautiful but a complete waste of time. Most people know the traditional course a ceremony takes. All guests really need to know is the place and time of the event which is presented on the invitation. Guests will be so absorbed with the ceremony to pay attention to the program. Although exotic flowers are beautiful, the most cost effective flowers are the ones in season. Some of the best resources are right under your nose. Elect some responsible friends and family to assist with your wedding. Check your circle of friends or family. Someone may know a vendor or be a vendor themselves. Think broader. If someone owns a printing company, they can help you with stationary. If someone plans events at their job for a living, they may be a great wedding planner. If you have an aunt with a green thumb who is creative, use her for décor and flower arrangements. Stay clear of bridal shops. Go to your local department store, consignment store, or boutique dress store. Consider purchasing a prom dress. The cost of a dress classified as a “wedding “dress marks up the cost tremendously. Go to places like Nordstrom’s, Bloomingdales or Macys. Although these places can be quite pricey for everyday dresses, you can find beautiful formal dresses suitable for a wedding day worth half of the costs. For example, you may purchase a dress from bridal shop which costs 1200.00 and find an exquisite formal dress from a department store or boutique which costs 300.00. Just purchase the photography services. Forgo all the additional accessories. You can purchase your own album and cd at a later date. Illustrate your event musically. Create your wedding playlist on your iPod. This gives you unlimited music selections. You can create mini playlist to play at some certain times. For example, ceremony music, dinner music, or dance music. You can delegate someone to stop and start playlist at certain times. Having a continuously flow of great music will keep your guest very happy. Contact local photography schools and put an ad/request out for a photography student. Require that they be a senior student and have a portfolio. Look for a photographer with a photojournalistic style. You can research online and find the most important wedding photography shots and create a list for your photographer. Discuss with them what you would like them to capture. Hiring an amateur photographer cuts your budget tremendously. It gives you the power to set your price. Create your own bar. Forego premium liquors and offer guest a signature drink or beer. You and your fiancé can create a signature drink to represent the both of you and serve it to guest. Why can’t guest toast with their regular drinks? They can! Skip the champagne toast and allow guests to toast with their drinks. Never have you seen guests without a drink during a wedding! No need to use champagne which often goes wasted or untouched. Wow your guests by creating homemade favors. Items such as candy, body sugar scrubs, brownies or cookies make great inexpensive parting gifts. Every bride needs a carriage to her wedding. That doesn’t mean it has to be a limo. Wedding limos are essentially pointless. Using a wedding limo before the wedding is useless. Brides usually arrive before or after guests, either way no one will see you in your limo. Not to mention bridal attendants usually bring dates, so they should arrive and leave with their dates. There is no point in having a limo sit idle while you carry on with your wedding day. You can cut into your transportation budget by scheduling a car service to take you and pick you up from your event. This cuts your budget tremendously. You will no longer have to pay for a limo just to sit outside. Hosting a brunch reception surprisingly cuts down your wedding budget tremendously. Serving pancakes and omelets are way cheaper than chicken and fish. Not only does it cut the food cost, but also the drinking budget is immediately slashed in half. You can limit drinks to mimosas plus guests are less likely to consume a lot of alcohol so early during the day. Creating an appropriate guest list is the key to all your budget woes. The guest list affects every part of the budget. If you can cut cost here than do it! Limit guest list to the most important people. Exclude exes, bosses, co-workers, church friends, long lost relatives and friends, friends of parents, and etc. Keep the list short and simple. Make sure your guest list is a reflection of you and your fiancé. Instead of paying for an officiant, elect one of your close friends who is fearless when it comes to public speaking to officiate your wedding. All they have to do is pay a small fee and take a course online. Universal Life church is an organization that ordains people so that they can officiate a wedding. Don’t get married in season. June, July, August, September, and October are popular wedding months. The costs of wedding services are higher. Get married during the off season months where wedding costs are lower. December, January, February, and March are the off seasons months where vendors may be less expensive and more willing to negotiate. Get married in another to city or state to cut your wedding costs. Wedding rates for venues and vendors aren’t the national rate. Many brides cut cost by marrying in a different city. For example, the cost of a wedding in New York City is more expensive then the costs for a wedding in Michigan or Richmond. Do your research and find the going rates for other cities. Skip the banquet hall and check out historic buildings or parks in your town. These are great inexpensive locations. There will be no per person fee. There is usually an attractively low one time rate to rent the space. Cake is a décor element where you spend so much money and guests eat very little of it. At the end of every wedding you will find untouched cake servings. Save your money and think smaller! Work with your baker to create a small two tiered cake to showcase at your wedding reception. Have your baker make a sheet cake that can be cut and given to guests. Flowers can take up a huge chunk of your budget. Most of the costs are due to the manual labor it takes to make arrangements. You can slash your flower budget in half by purchasing your flowers in bulk from a nursery or farm. There is unlimited information available on how to style or do your own wedding floral. 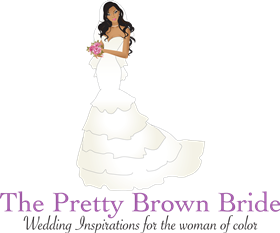 Check out sites like Pinterest or DIY wedding blogs to get inspired. Research and find a local farmer or nursery and purchase floral in bulk and wholesale. They will tell you how to care for them and how to assemble them. There is really no need to have a rehearsal dinner. This is just an extra expense that can be cut. Inform your bridal party of any last minute details and skip the dinner. Choose to get married on a Friday or Sunday. Fridays & Sundays are the least popular days to marry. Most brides say “I do” on Saturdays. Be different and cut your reception costs. Eliminate transportation costs by holding ceremony and reception at the same venue. Don’t get caught up in the wedding hype. Stay clear of items that are categorized as wedding. Anything listed as wedding just means it wills more than likely costs you more. Pay attention to wedding related words. Having 3 bridesmaids is just as good as having 10 bridesmaids. Cut your costs by cutting your bridal party. More bridal attendants means more people to pay for at a rehearsal dinner, reception, limo, invitation, bouquets, bridesmaids gift and etc. Your bridal attendants affect more than one of your budgets.